Thank you for your interest in Chicago Housing Authority’s (CHA) paid summer youth opportunities. THE 2019 SUMMER YOUTH OPPORTUNITIES APPLICATION IS NOW OPEN! 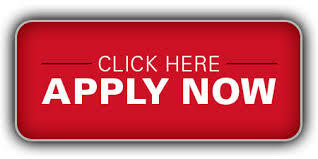 YouthOpportunities@thecha.org. You can also Like us on Facebook and follow us on Instagram and Twitter. The Chicago Housing Authority offers many paid opportunities where you can spend your summer working, learning, creating and developing skills at a local business, on a university campus or in a non-profit or government institution in Chicago! For more information about our programs, please see the descriptions and important details below. CPD NYC introduces students to careers in law enforcement and offers positive interaction with police officers along with field trips, community service projects, and relationship building with peers. Students also attend workshops facilitated by community leaders and other professionals, and participate in group discussions on prevalent social issues. Program Dates: June 24 – August 2. Learn how to create a documentary from award-winning filmmakers within DePaul University’s School of Cinematic Arts. 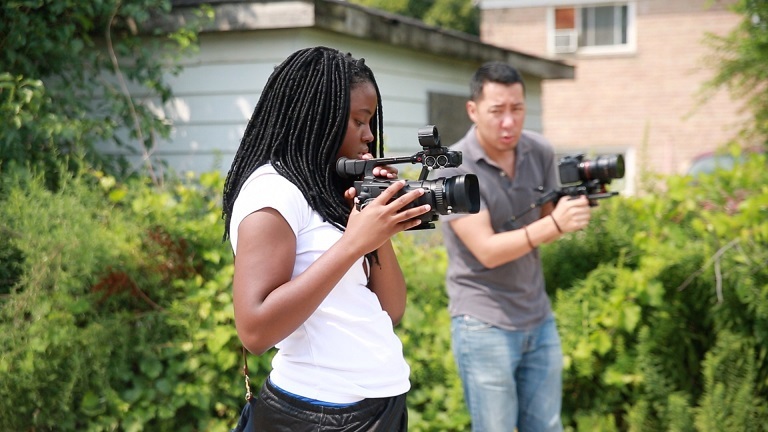 The six-week intensive prepares students to become future filmmakers in documentary production. Learn the basic theory, aesthetic and technical skills required to create a documentary. The program demonstrates how young women can employ media in positive ways and usher in a group of future women and student leaders who understand (and advocate for) the challenges young women face. Program Dates: June 24 – August 1. Learn how to create games and explore graphic design from an award-winning game designer within DePaul University’s School of Design. In this program, participants will be guided to develop their creative voices to effect change and introduce ideas to others. The six-week intensive focuses on journaling and self-exploration to create graphic design, games and interactive experiences. Program Dates: June 24 – August 1. Learn and Earn aims to prevent summer learning loss through engaging academic enrichment and career exploration activities for six-weeks at college campuses across the city. Participants, ages 13–15, explore future careers, develop the knowledge and confidence to achieve their education and career goals, hear from guest speakers, and take field trips to have fun and learn something new. Program Dates: July 1 – August 8. 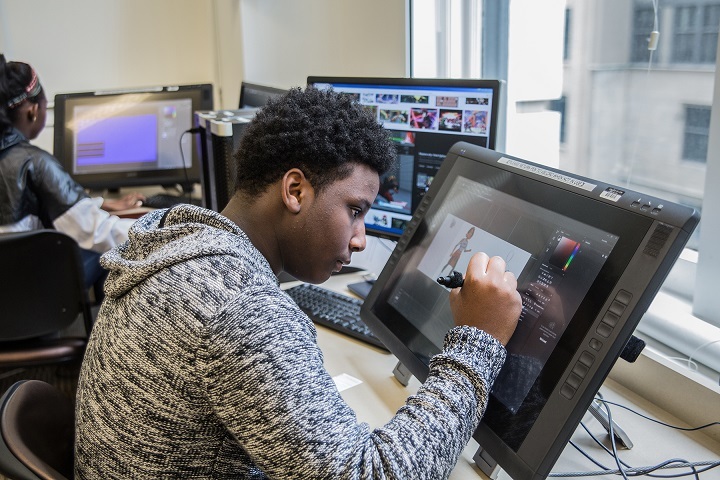 This engaging, hands-on program, led by staff and artists at the University of Chicago’s Smart Museum of Art, will introduce rising high school juniors and seniors (and recent graduates) to the cultural ecosystem on the south side of the city. During the six-week program, participants will design and physically create a major work of public art that also serves as a platform for teen programming for years to come. Students will gain skills in construction trades, art production, and community engagement. No prior arts experience necessary - just a collaborative spirit and desire to make your mark in public! Program Dates: July 2 – August 10. MOVIE AND TV SCRIPTS 101: SCREENWRITING FROM THE PROS! Learn how to write an original screenplay from award-winning screenwriters within DePaul University’s School of Cinematic Arts. Participants will analyze a series of films studying screenplay format, visual writing style, scene craft, story structure, character development and dialogue. The program culminates with each participant writing their own short movie/tv script. Program Dates: June 24 – August 1. 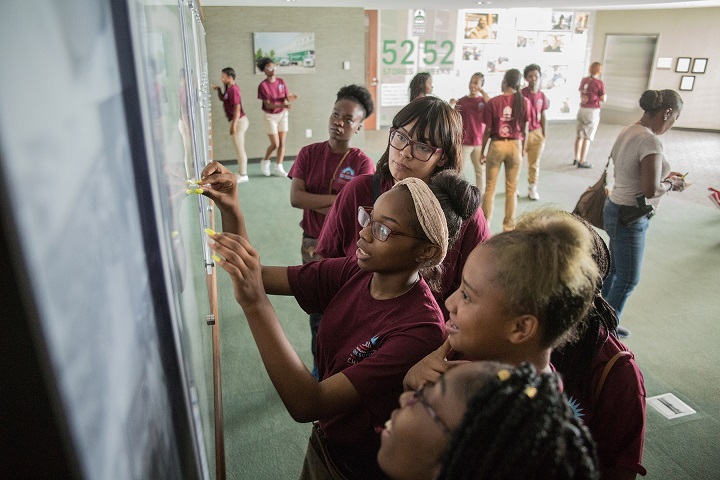 Teens in the Safe Summer Peace Ambassador program learn strategies for reducing violence in their communities while they engage younger children in positive activities focused on individual reflection, talking circles, and conflict resolution. Program Dates: June 24 – August 2. SYEP helps young people, ages 16 – 24, to gain paid work experience working in government agencies, private businesses and non-profit organizations throughout the city. Participants explore careers, build employability skills and financial literacy over the course of seven weeks during the summer. Program Dates: July 1 – August 9.